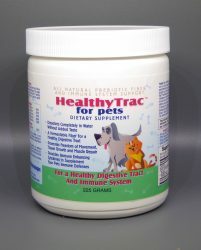 Nature’s Solution® is an all natural, hypo-allergenic, non-toxic mineral that has the unique property of being able to adsorb pet odors and other harmful gases from your breathing environment. 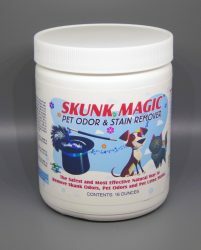 Nature’s Solution® is an all natural, hypo-allergenic, non-toxic mineral that has the unique property of being able to adsorb pet odors and other harmful gases from your breathing environment. Nature’s Solution® is made of a zeolite material that actually works through an ionic attraction process. Here’s how: Pet odor molecules and other gases carry a positive over all electrical charge. The material in Nature’s Solution® carries a negative over all electrical charge. The negatively charged Nature’s Solution® material draws the positively charged odor molecules out of the air and bonds them to its surface. There they are held until you release them. Nature’s Solution® is a reusable product. By simply placing the used Nature’s Solution® materials outside in direct sunlight, the ionic bonds between the odor molecules and the materials are broken thus releasing the trapped odors. 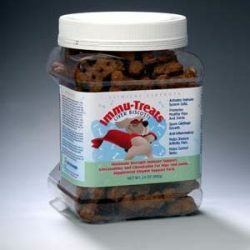 Made from a natural mineral that is environmentally safe, non-toxic, hypoallergenic and has no odor of its own. Has a strong negative charge that attracts toxic gases, odors, bacteria, mold and fungi. It will bind them by ionic attraction (adsorption) and won’t release them at ambient air temperature. Purifies the air 24 hours per day, 7 days per week. Nothing to plug in. This is a completely portable system that you can take anywhere. Nature’s Solution® looks like a honeycomb on the inside and one pound of Nature’s Solution® has the surface area of a football field. Asthma sufferers will have fewer and less frequent attacks. Fewer cold and flu related symptoms, reduced congestion, headaches, respiratory problems, watery eyes and dizziness. Less need to buy costly over-the-counter medications. Fewer trips to the doctors office. You will have more energy and be less tired during the day. You will be more alert and able to concentrate on your daily tasks.